Posted July 8, 2016 by admin . In a competitive zone like social media, brands have two choices: 1. Stand Out or 2. Become Irrelevant. For many shop owners, social media can be intimidating. Maybe you aren’t sure what to post or how often to post it. Maybe you don’t understand why it is valuable and worthwhile. Or maybe you do, but you don’t have the time to manage it well while running your business. Your customers expect you to find you online. Showing up isn’t enough – you have to participate! 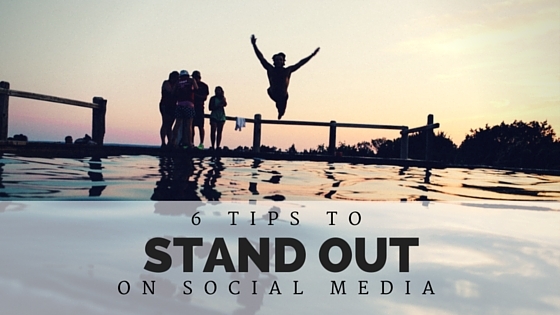 Ready to stand out on social? Here are 6 tips to reach your customers. Be Proud. Share your successes and accomplishments online to teach your customers about your business. Be Social. Have fun, talk to your customers, break barriers, and build relationships. Be Relevant. Useful information, timely responses, and up-to-date posts give customers a reason to tune in. Be Visual. A picture is worth a thousand… views! Grab attention and rise above the noise with the right visuals on social media. Be Valuable. Offer interesting, important information that your customers actually care about. Tune in to see what they respond to and what they are interested in. Be Involved. Don’t go on autopilot – stay tuned in to course correct when needed to make sure your social media does not become irrelevant. Social media done well requires time, effort, and expertise. Instead of ignoring this platform (and being lost in the crowd), rise above and stand out with a strategic social marketing plan! Read the original article on Mobile Marketer. The social media marketing experts at Automated Marketing Group will work with you, one on one, to create a comprehensive social marketing strategy for your unique business. We’ll get to know your customers and your market to create the kind of posts that are proud, social, relevant, visual, and valuable – and we’ll stay involved so you can focus on growing your business. If you’re ready to learn more about social media marketing for your business, call our experts at 303-703-8000 or request a free assessment of your online presence.